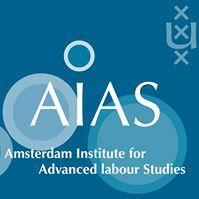 On September 1, the Amsterdam Institute for Advanced Labour Studies (AIAS) & the WageIndicator Foundation will organize their 2017 Annual Conference on “Wages in Global Perspective: Monitoring Wages Worldwide through WageIndicator“. AIAS and the WageIndicator Foundation are partner institutions of the Global Labor Organization (GLO). The event is lead by WageIndicator Foundation Director Paulien Osse and AIAS Research Coordinator Kea Tijdens. The WageIndicator movement had been initiated by Osse and Tijdens in 1999, and has now websites in more than 92 countries around the world and presents detailed information on all kinds of self-reported wages and salaries. The WageIndicator project is strongly supported by the GLO. Osse and Tijdens are both GLO Fellows, while WageIndicator Foundation Director Paulien Osse also serves as a member of the GLO Founding Council and the GLO Advisory Board. Among the conference speakers are also GLO Fellow Martin Guzi (Masaryk Uni Brno and CELSI, Bratislava) and GLO Fellow Martin Kahanec (Central European University, Budapest, and CELSI, Bratislava) as well as GLO President Klaus F. Zimmermann (GLO & UNU-MERIT, Maastricht University), among others. The conference will take place at KIT Royal Tropical Institute, Mauritskade 63, 1092 AD Amsterdam.